Artists apply for lots of shows, competitions and projects, and I have come to think of this as sowing seeds. Some sprout and come to fruition in wonderful ways we never imagined, and this is the story of one of those instances! Back in early 2017 I submitted a proposal for a VERY large scale set of paintings for the two-story foyer of a new hospital being built in Jacksonville FL. 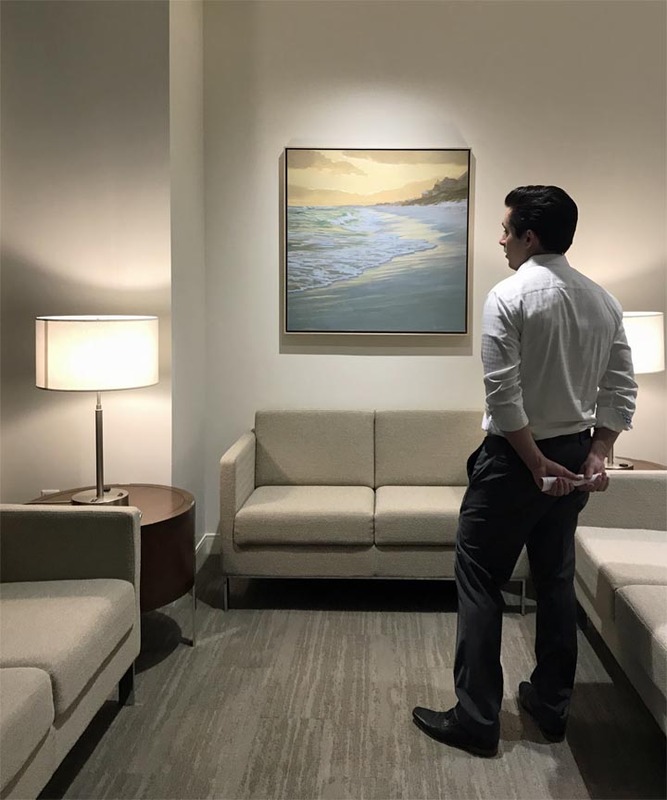 In 2015 I had provided a large diptych for another branch of this same hospital through an art consultant, so when I saw this listing I was very interested and my wheels started turning. After much development and refining I submitted my proposal, and I was eventually notified that though mine hadn't been selected, I and other artists were being placed on a list to provide artwork for other public areas of the new hospital. Tick. Tock. Many months pass. Six months later I got an email stating they were still intending on using my art in the hospital. And then another six months passed and I contacted them, but did not get a response. At this point, we were so near the projected completion date that I reasoned they had hired a decorator and gone in another direction. “....Unbeknownst to you, we have been admiring your artwork from afar for some time now. :) Your paintings are beautiful, bright and evoke such light and energy. I am drawn to your work and know that our collectors/market would be as well. How exciting! It was from the owner of a gallery I was very familiar with in the Jacksonville area, and it dawned on me that they must have gotten tapped to coordinate gathering the artwork for this new cancer center. 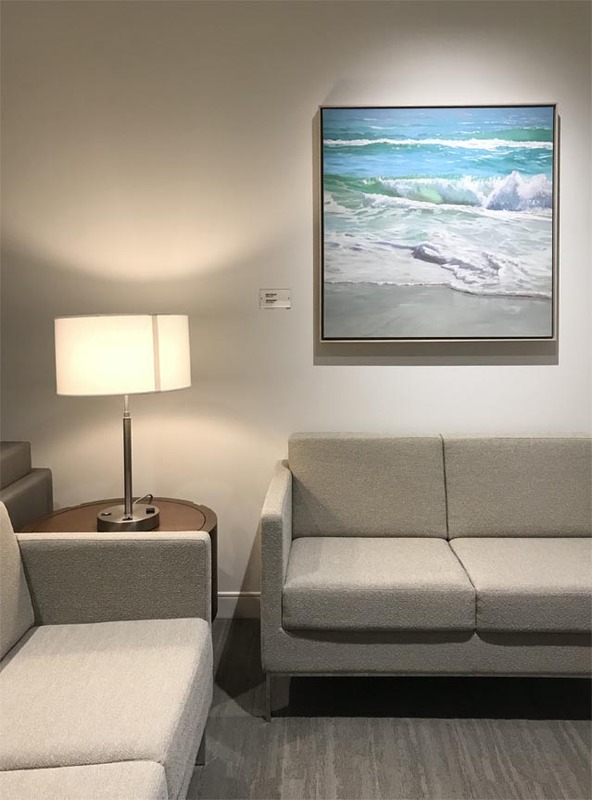 There was a very limited amount of time left before the big installation and ribbon cutting, but the gallery was easy to work with and we quickly agreed on four large commissioned paintings and several smaller ones to be used in a waiting room and other public areas. Below are photos of the paintings in situ, courtesy of the gallery, which better shows their scale. Two of them are 36x48 and two are 36x36, and getting this project was a big part of making 2018 by far my best year ever for sales and productivity. 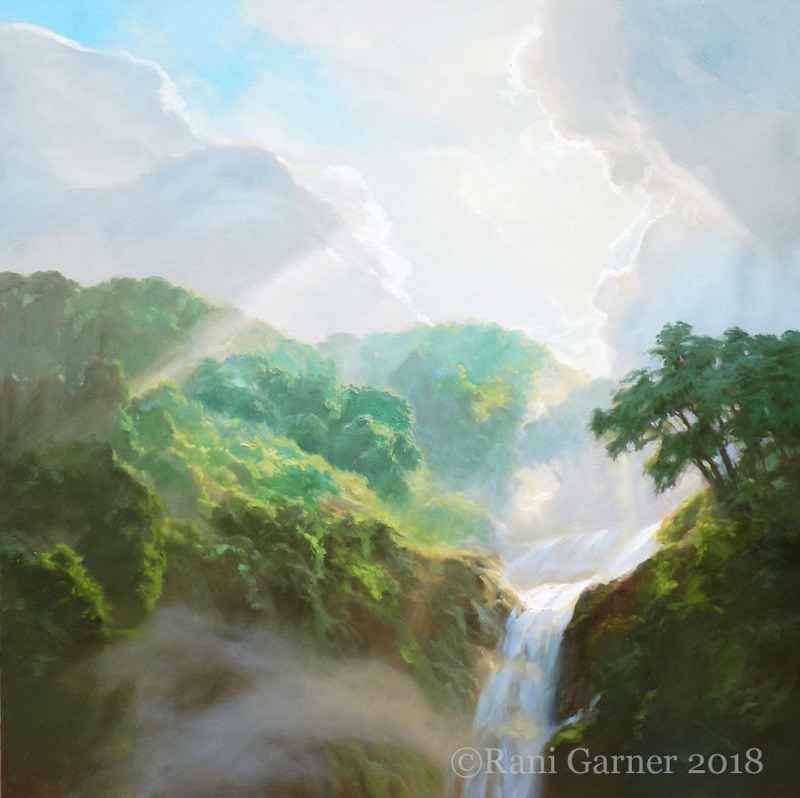 It is exciting to have big projects from time to time to supplement my regular work of supplying art galleries and I look forward to applying for more. Sow those seeds....you never know what it could lead to.